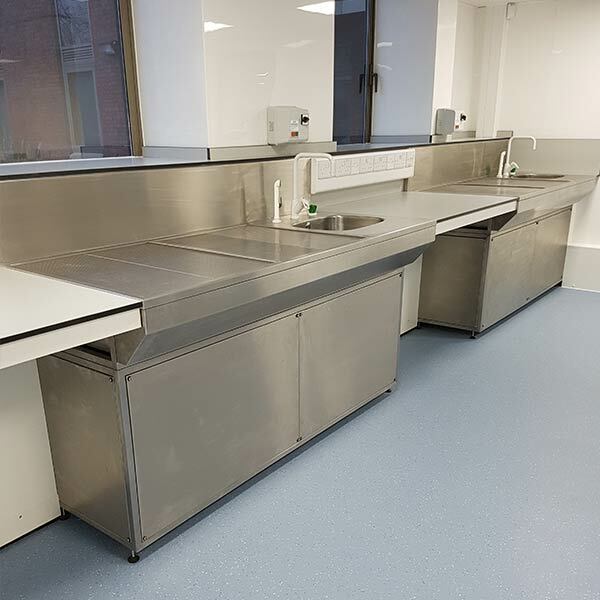 Stainless steel dissection tables or downflow benches as widely known, are designed to protect the user when required to work with unrestricted access during potential contact with chemicals. The table is designed to allow for fumes to be extracted at low level through a perforated work surface. Depending on the application, suitable filter media is applied to ensure chemicals are safely removed to atmosphere.